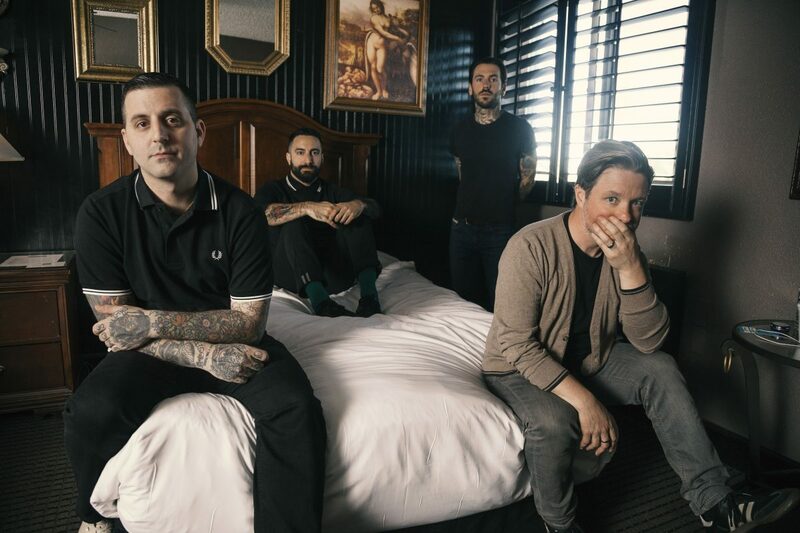 Bayside, who recently released their “brilliant” (Outburn) album Vacancy, release a 7-inch of the same name today, featuring non-album track “This Could Be Our Lives” as well as an acoustic version of “The Ghost” with guest Chris Conley (Saves The Day). A digital version of the 7-inch is also available now, and includes the bonus track “Not Fair” (acoustic). The Vacancy 7-inch can be purchased here: http://bayside.merchnow.com/products/v2/228587/vacancy-transparent-blue-7. The digital version is available via iTunes (http://smarturl.it/Vacancy7inch) and is streaming via Spotify (http://smarturl.it/Vacancy7inchSpotify) and Apple Music (smarturl.it/Vacancy7inchAM).